MapToaster is Gold Sponsor of the 2013 MEGA Geocaching Event. Labour Weekend, 26-28th October. The team have put together a terrific programme, check it out. We've added a review of the Garmin GPSMAP 62s GPS. Congratulations to Steve Knight, Kelvin Hempseed who won copies of MapToaster products in the Adventure Magazine Father's Day competition! 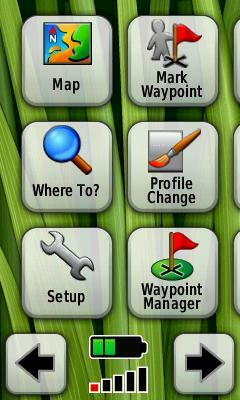 Maintenance update V5.0.244 extends support for Garmin 500 and Dakota GPS units and fixes a couple of minor bugs. Contact Support. LINZ has released the new NZTM 1:50,000 and 1:250,000 scale topomaps. 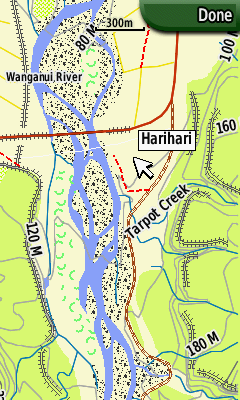 We'll be releasing MapToaster Topo/NZ version 5, for your PC, with the new maps in October. If you already have of MapToaster Topo/NZ or TopoMap Pro, upgrades will be available. We'll be emailing you soon with ordering details. 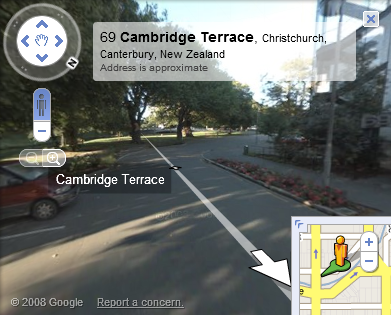 If you have MapToaster Mobile/NZ, the change in coordinate system is handled by the GPS software - you don't need new maps. See the GPS section at the bottom of our NZTM article for more details. The Department of Conservation has set up a blog. Keep in touch with what's new, there's an opportunity to make comments and ask questions. The Dept of Conservation is running Historic highlights on Matiu/Somes Island. Featuring DoC's first geocache. We've added a review of the Garmin GPSMAP 60CSx GPS. We've put together some thoughts on choosing a GPS. In the second half of 2009 LINZ will release a new series of topographical maps, projected in NZTM. Here's some background. Not really mapping related, but here are a few suggestion on keeping your computer secure. The place to start is good backups. You can't be sure the bad guys wont get through your defenses, but you can take steps to make recovery easy. Good backups also protect you against a hard drive crash - the failure rate for hard drives is 100%! External hard drives and backup software are cheap. do a full backup once in a while (weekly/bi-weekly/monthly) and do differential backups frequently. Ideally do backups daily, but it really comes back to how much you are prepared to lose. keep backups going back several months. If you get infected with badware and don't notice for a while, recent backups may contain badware too. Acronis True Image backup software has saved my bacon on a number of occasions. It can do "bare-metal" restores. All you need to get going again is the True Image CD and your backup disk to do a complete restore. Use the latest operating system software for your PC. Windows 8.1 for a PC, or the latest versions of Mac OSX or Linux. Keep your patches up to date. Turn on automatic updates. Don't forget to update other software like Microsoft Office, Adobe Flash and Adobe PDF Reader etc. Use anti-virus software. AV software is far from perfect, but it's a lot better than nothing. Use a better browser. Don't use Internet Explorer. Firefox, Google Chrome, Opera and Apple Safari are alternatives. If you use Firefox, use ad-blocking software like AdBlock Plus. Many webites that you visit display third-party ads. These ads have been known to deliver badware to users via well-known and trusted websites. AdBlock Plus also makes the Internet much nicer by removing all the flashing, pulsing ads. Remove Administrator rights from your Windows login. Keep a separate admin login and use it only when needed. If your account doesn't have admin rights it's a tougher target for badware. Don't recycle passwords across web sites - see the password section below. Use a personal firewall that controls outgoing as well as incoming connections. Only install software on your PC when you trust its source. Never use cracked software. It's often infected with badware. Put your computer in standby mode or turn it off when you're not using it. Laptops, cellphones and PDA's all contain private information. Treat them like a wallet or purse. When you do business on a website, check it's a reputable company. Don't give out unnecessary personal information. Use anti-virus software that automatically scans your incoming email and attachments. Don't open attachments from untrusted sources. Doubly so for spam. Don't open attachments from trusted sources unless you know the person who sent it was also the author. i.e. the ha-ha look at this type of stuff can spread badware. Protect your email account - access to your email account gives access to many other areas of your life. If you use web-based email, like GMail, treat it like your online-banking. Banks etc shouldn't send you email relating to your accounts. Ignore anything from them that isn't just general advertising. Ignore any email that asks you to click on a link and login to one of your accounts. You can't trust the "From" address in any email. Emails are easily forged. Delete spam, don't read it. Never open attachments. If you use GMail, there is an option called "Browser connection". Set it to "Always use https". Other web-based email services probably have a similar encryption option. Your wireless access-point has built-in security. Turn it on. Use a long password - at least 15 characters and not a dictionary word. Use the WPA or WPA2 Personal (aka PSK) security option. Select the AES encryption option. Do not use WEP or TKIP options. When using a public access-point (e.g. at a cafe), it may be possible for other users of the access-point to snoop on what you are doing. If you use public access-points, it's vital you have a firewall installed on your laptop. Make them long - 6 letters is inadequate for anything you care about. Don't use cat's names, birth dates or anything someone could guess if they know something about you. Same goes for the security questions websites use to let you recover your password - remember Sarah Palin. Don't use dictionary words. Substituting number for letters (e.g. l3tt3rs) or miXiNg up the case on dictionary words doesn't help much, as passwords crackers will do the substitutions as well. Use random letters or a long passphrase. Don't re-use passwords on different websites. Bruce Schneier's PasswordSafe software is a great way to create and manage passwords securely. Live ship locations, tides, air pressure, air & water temperature, wind speed & direction and wave heights around the globe. Replacing desktop computers with laptops and using server virtualisation technology and power-saving features on the computers. By the time we're done in early 2009, our power consumption will be a quarter of what it was. Product packaging - except for the actual DVD's and courier bags, the MapToaster product is all re-usable or recyclable. The outer package is made from unbleached cardboard and doubles as the shipping package. We use Internet communication tools to virtually eliminate the need for air travel. Using digital document management has largely eliminated paper. 2009 New Year's resolution is to use the stairs not the lift. The OECD have a couple of stunning Flash applications for exploring large-scale and small-scale geographic data data. Not all maps are literal reproductions of the Earth's surface. Cartograms are an example of a map where the map features are distorted to visualise something. Here are some cartograms showing voting patterns in the 2008 presidential elections. We get asked once in a while about GPS coverage for different parts of New Zealand. You can use the freely available Trimble Planning Software to answer this question. 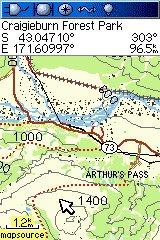 You enter your location and altitude and the software generates plots and maps showing satellite coverage. If you are in terrain where the view of the sky will be blocked by terrain, you can set an elevation cutoff.